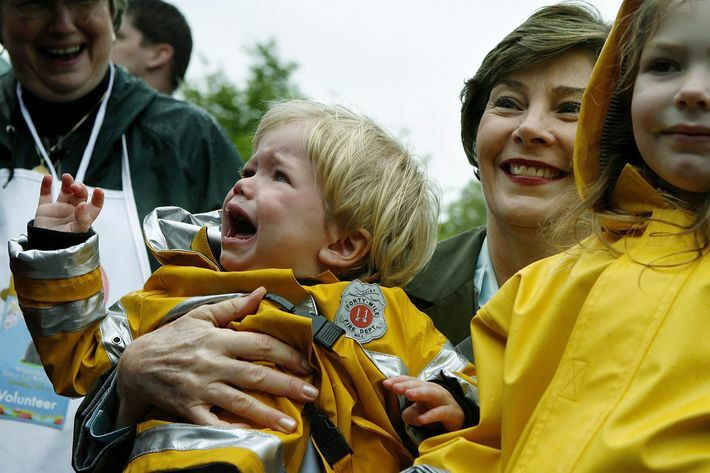 Today is the annual Easter Egg Roll at the White House, which means we’re probably going to see a very professional and affecting photo of a child bawling on government property. It happens nearly every year. 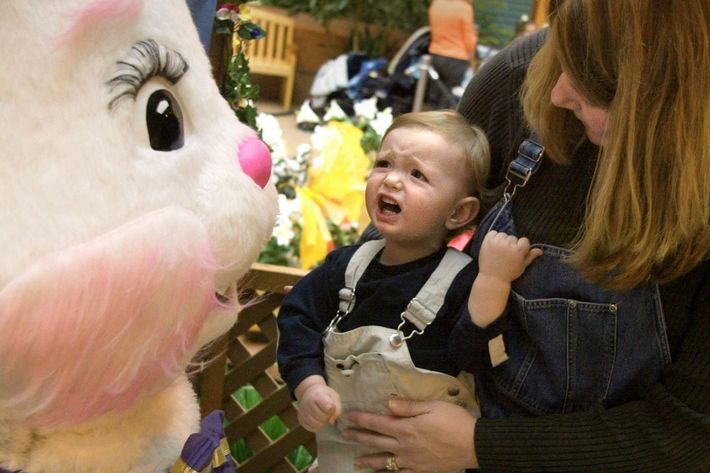 It is unclear whether there is something uniquely sad about Easter festivities that makes kids unhappy, or if proximity to presidential power is too overwhelming, or if the giant Easter Bunny mascot is too terrifying. It is very likely that the children are just recovering from a sugar rush. 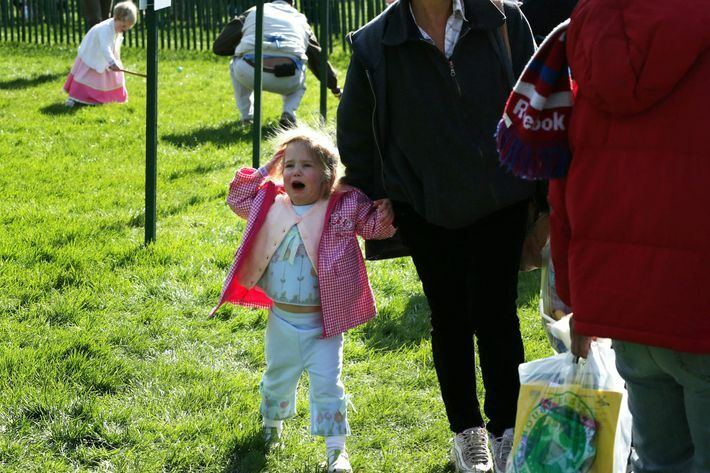 This year, the White House Easter Egg Roll not only made children unhappy, it downright terrified them. President Obama was doing his traditional reading of Where the Wild Things Are, until a soft buzz droning over the crowd was quickly drowned out by screams. 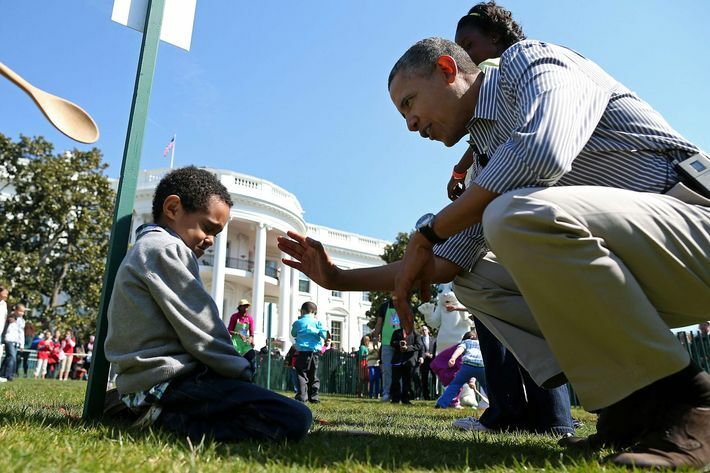 “Oh no, it’s a bee," Obama said, unsuccessfully trying to comfort the children. "That’s okay, guys. Bees are good; they won’t land on you. They won’t sting you, they’ll be okay." 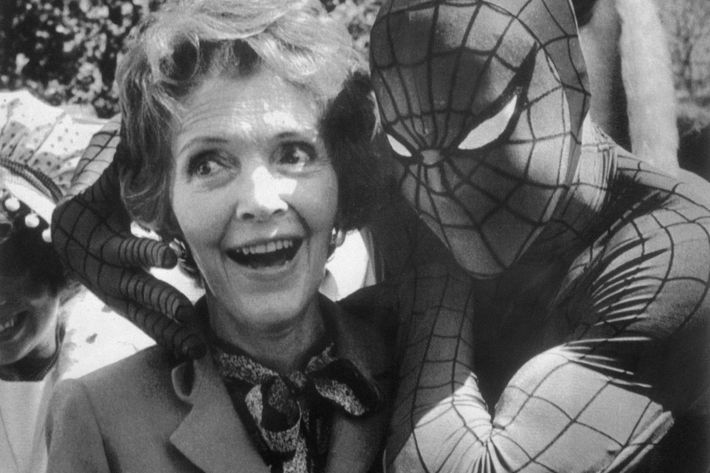 President Obama has had to comfort sorrowful children visiting the White House before. Last year, a kid ambled around the White House yard overcome with grief because she couldn’t stay forever. 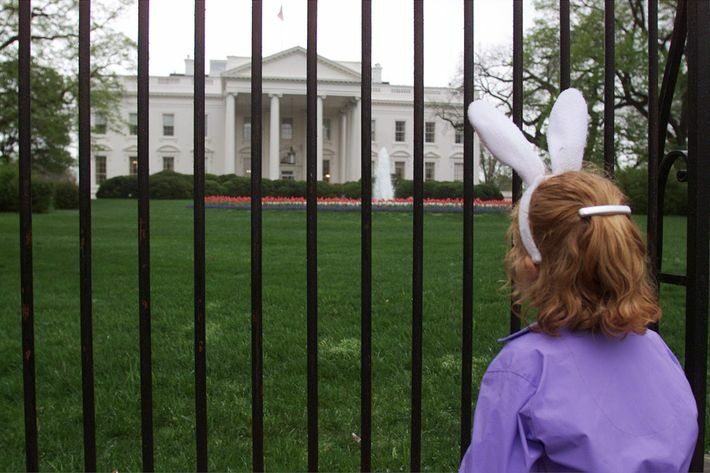 At other times, children have been sad because they couldn’t go to the White House Easter Egg Roll at all. 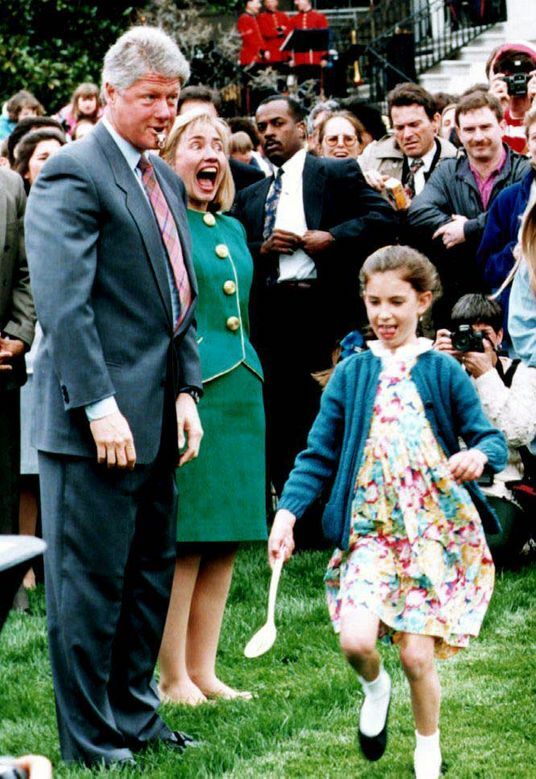 No one will ever know why everyone is smiling in this photo despite the fact that they are next to a screaming toddler. 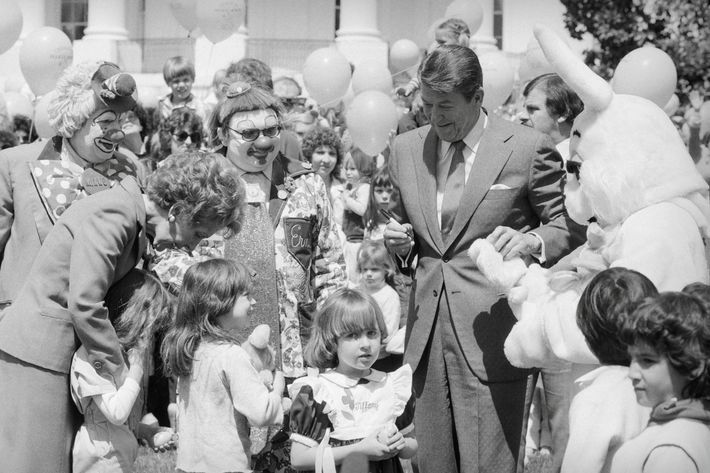 Kids have been crying at the White House Easter Egg Roll for decades. 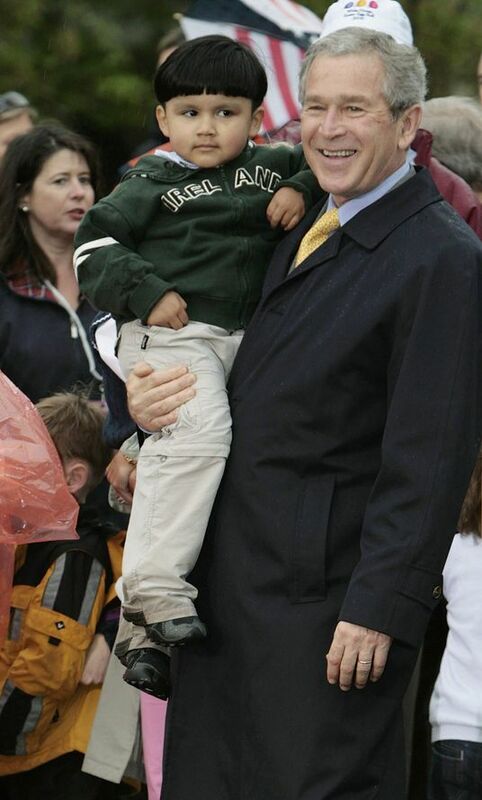 Although it is impossible to know, we assume that the kid staring at the clown who looks strangely like Al Franken is crying. Kids have other weapons in their facial-expression arsenal besides tears when it comes to showing displeasure with the White House. 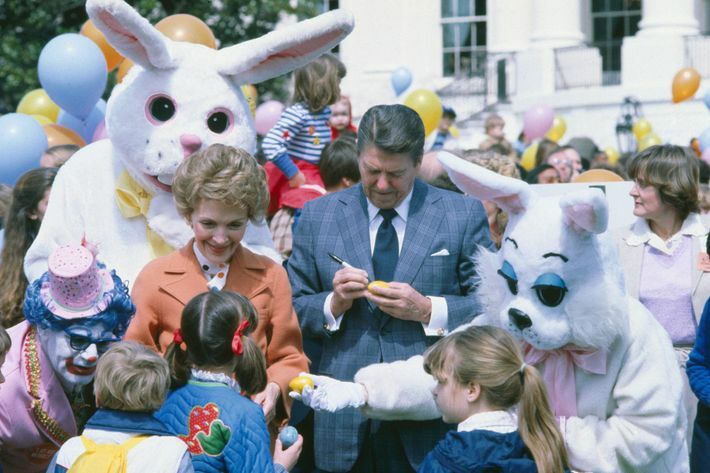 Fear and loathing of the White House Easter Egg Roll is not limited to children. 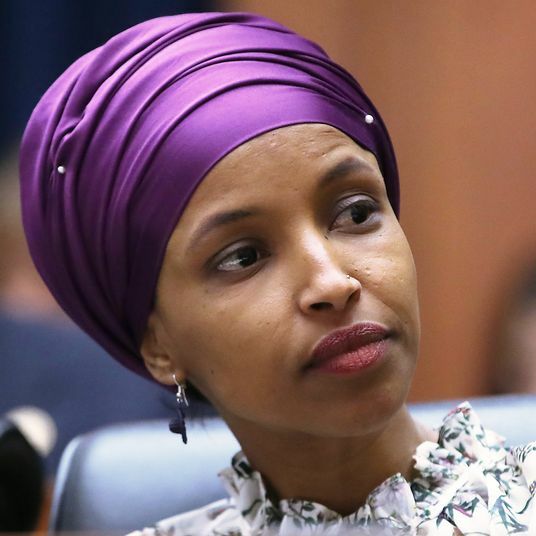 For the First Ladies, it is often difficult to tell whether they are having more fun than anyone else in attendance — or whether they are screaming in terror. However, the president of the United States is not the only leader who has had to comfort children during this apparently trying time of the year. 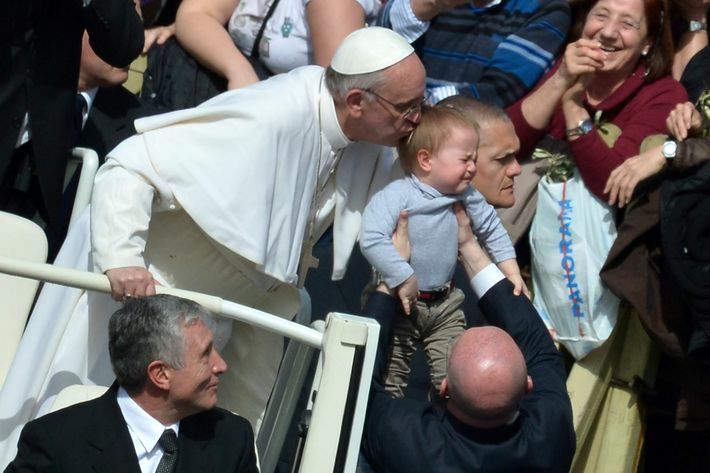 In the end, it’s hard to blame kids for being confused and stressed by Easter, regardless of where it’s celebrated.